Properly constructed and maintained electric and non-electric fencing can play a significant role in preventing predation on farm animals. It is THE FIRST protection that you need to focus on. Like any other animal husbandry practice you use on your farm, your fencing should respond to your particular situation. The options below give you a place to start after you have thoroughly reviewed your farm situation. Notice that electric fencing is often included below. We will be sharing more specific information about successful electric fencing, so please return and find out more! Portable electric netting is an excellent product for grazing livestock of all types. 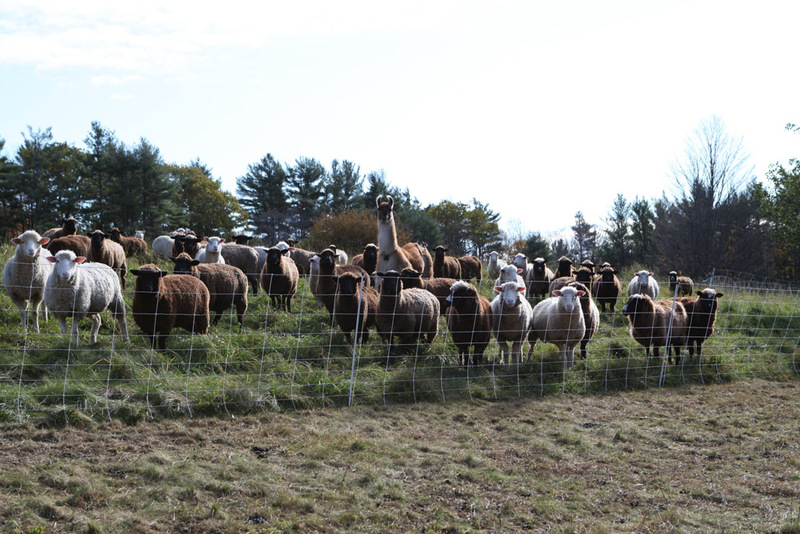 Here, this flock of sheep and their guard llama graze on hay fields late in the season to take advantage of extra food that continues to grow into November. 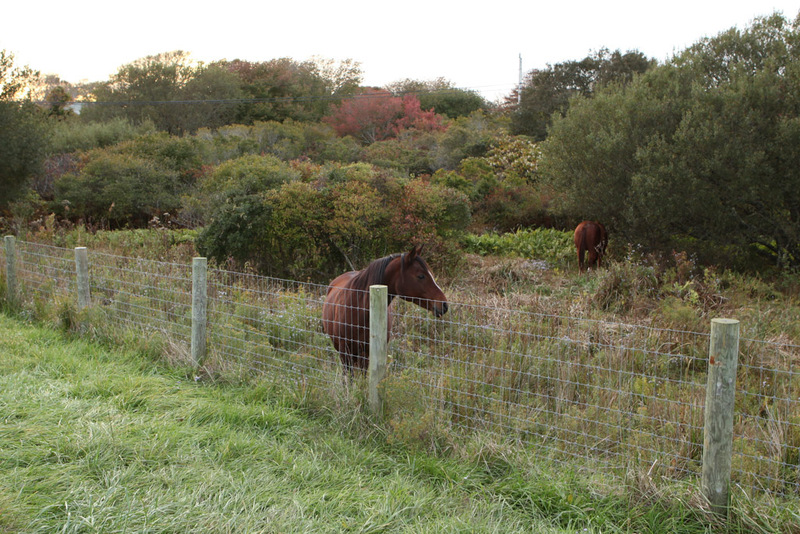 There are many types of horse fencing, some are permanent while others are semi-permanent. The paddock pictured here consists of a fixed-knot, woven wire perimeter which is a very secure year-round solution for horses. These cattle are contained by a high-tensile perimeter fence. 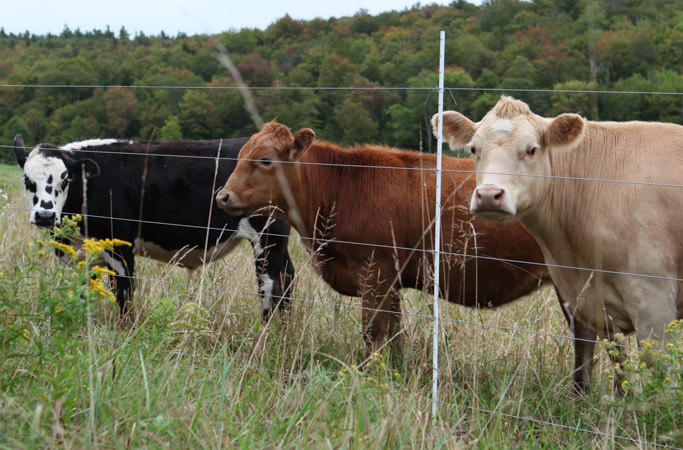 Depending on the type of cattle and whether other species will be grazing in the same enclosure, most high-tensile perimeters for cattle range from 3 – 4 strands. Fencing in the winter can present some additional challenges since snow acts as an insulator to electric fences. 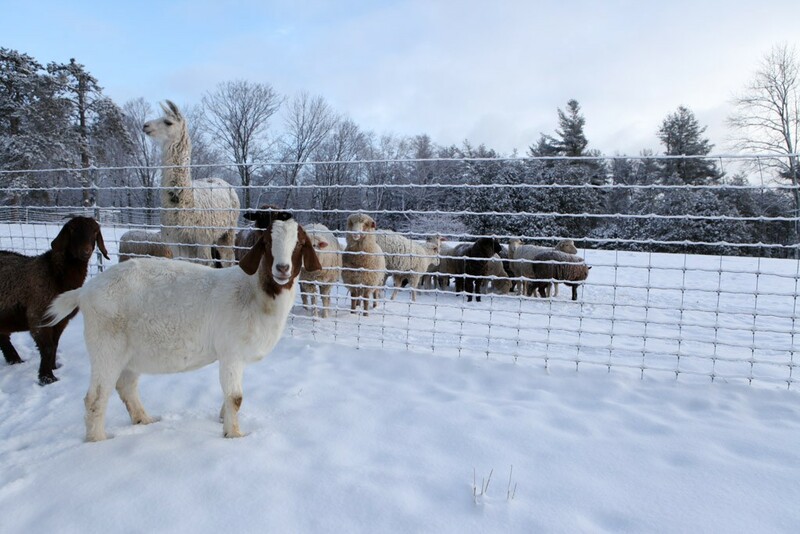 A woven wire enclosure makes a great winter paddock area because it is a physical fence, not psychological. 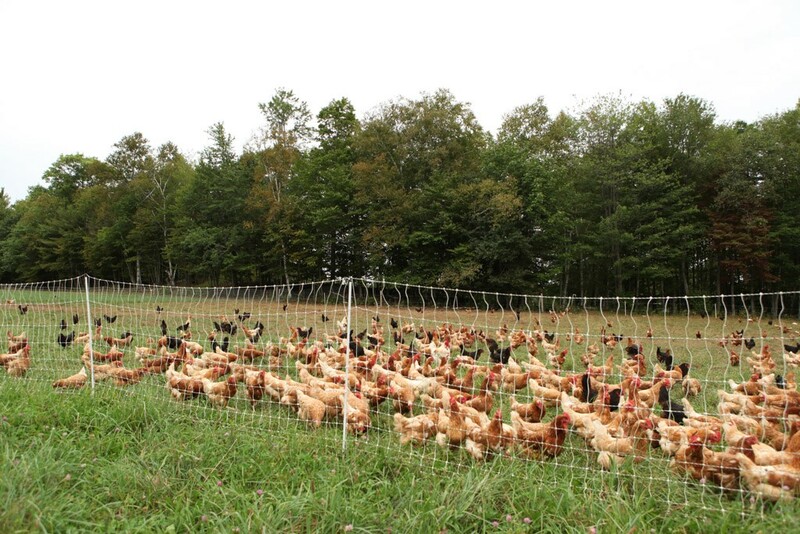 Portable electric poultry net is a popular choice for farmers that want to be able to move birds around to graze new areas, yet want some security from predators that may be looking for their next meal. This netting is available in a variety of heights and lengths, as well as different colors and post spacings. 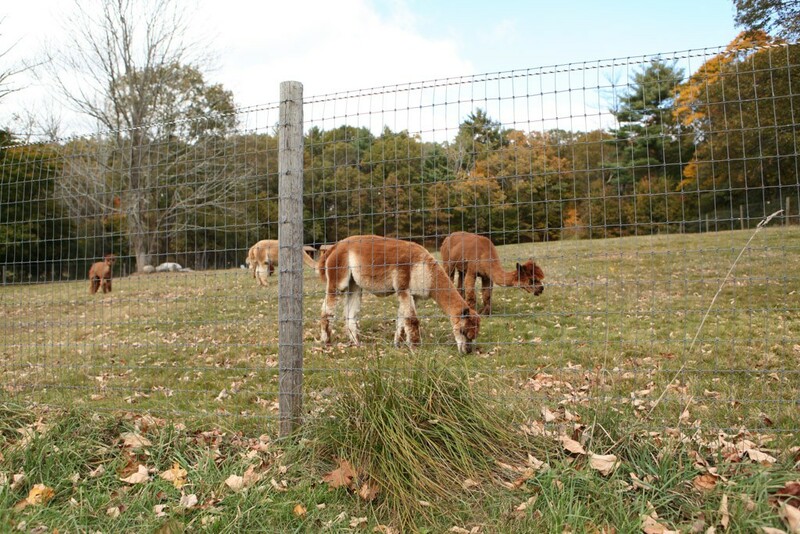 For many alpaca owners, safety and security is found with a 2×4” woven wire perimeter fence. In addition to this physical fence, often one or more electric offsets are added either to discourage predators or to protect young animals from encountering the fence.